It was an early morning on Saturday June 16th, three friends and I were on our way to Niagara Falls, Ontario to celebrate my birthday by going indoor skydiving. Before doing that, we decided to cross the border to Buffalo, New York for some breakfast at Sophia’s Restaurant. It’s my second time at this Greek Restaurant/Diner, and had a great first experience. 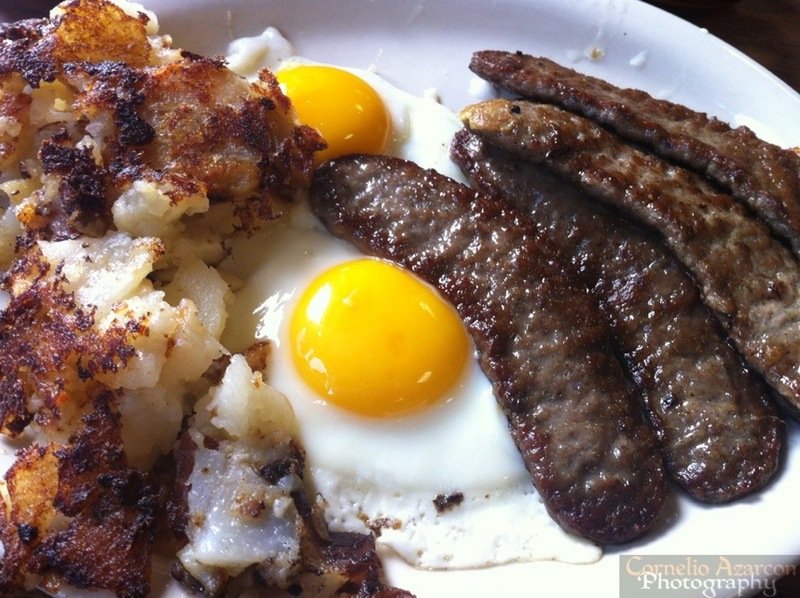 This time, I ordered the Gyro breakfast plate with potatoes, eggs, gyro meat, and toast. The dish was simple, but tasted great, especially the gyro meat, which was well seasoned and well cooked. As always, it was great value for what you get, and they provide great service as well.